The 2013 Buick LaCrosse is doing a lot toward changing Buick's image as strictly a vehicle for your grandpa and grandma. After making its debut for the 2005 model year it is now in its second generation of production. It now receives a beefier body and sleeker roof than its predecessors. The windows have narrowed, which has limited rear driver visibility slightly; but the front end now features a wider, more dominant grille, giving it a much more aggressive look. The 2013 Buick LaCrosse is a midsize luxury sedan that deserves serious consideration by all those shopping in this segment. This year's model is unchanged from the 2012 version, but does feature Buick's new IntelliLink communications system. It's tough for many experts to love the Buick line but the LaCrosse seems to be winning most of them over. It has been thought of for so long as "your grandpa and grandma's car" that many reviewers find more being offered elsewhere in the luxury section. However, the LaCrosse has done a fair job of topping many competitors and going unnoticed in the process. Among the features most praised by the owners of the 2013 Buick LaCrosse, the comfortable ride, modern cabin, and its powerful V6 engine. Among the detractors are a delay in the downshift of the transmission, a quirky navigation system, and poor rear visibility. The 2013 Buick LaCrosse comes available in five trim levels: Base, Leather, Premium 1, Premium 2, and Touring. The Base model is still nicely equipped, offering 17-inch alloy wheels, full power accessories, dual-zone automatic climate control, cruise control, split-folding rear seatbacks, an auto-dimming rearview mirror, an eight-way power driver's seat with lumbar adjustment, OnStar, Bluetooth, an 8-inch display screen, and a seven-speaker sound system with CD player, satellite radio, smartphone app integration, and iPod/USB/aux inputs. The next step up, the Leather package, incorporates foglights, heated mirrors, rear parking assist, a rearview camera, heated front seats, and you can't have a leather package without the leather upholstery. It also extends the eight-way power adjustment to the passenger front seat. Of course, if you're really looking for luxury, you'll want to go with the Premium 1 package. It offers keyless ignition/entry, heated and ventilated front seats, perforated leather upholstery, and a rear power window shade. Moving up to the Premium 2 package will bump you up to the chrome wheels, a sport-tuned suspension, a 120-volt house-style power outlet, and an 11-speaker Harman Kardon surround-sound audio system. The top of the line is the Touring package. It adds 19-inch alloy wheels and adds adaptive suspension, xenon headlights, a blind-spot warning system, a heads-up display, digital music storage and a navigation system. The 2013 Buick LaCrosse's interior can be described as simple and upscale. Controls are all compactly placed in an area that is very accessible to the driver but makes the controls seem cluttered. Buick's IntelliLink system should be a big hit with most consumers as it both functional and user-friendly, although it does seem to interfere with the radio controls sometimes. Modern features such as the ambient blue nighttime lighting and the smoked chrome accents make the cabin of the 2013 LaCrosse appealing to just about any driver. become slightly more limited on versions with the optional sunroof. The back seat is one that boasts the capability to haul three passengers comfortably and for the most part it delivers. Cargo space is the Achilles heel of the 2013 LaCrosse. It is on the lower end of the scale for the luxury sedan class with a maximum capacity of 13.3 cubic feet in the trunk. Models with the eAssist engine get even less than that, garnering only 11.4 cubes of trunk space. The opening for the trunk is also narrower than one would find on many competitors. The LaCrosse comes powered by a choice of two engines. The first is a 2.4L four-cylinder eAssist engine that comes with a hybrid-assist feature used to save on fuel economy. It pairs the engine with an 11-kilowatt motor and a lithium-ion battery pack to enhance fuel economy to an EPA-estimated 25/36 mpg (city/highway). Total power output from this engine is 182 horsepower and 172 ft.-lbs. of torque, but this powertrain was built for economy not performance. The second engine option offered with the 2013 LaCrosse is the 3.6L V6. It ups the power to 303 horsepower and 264 ft.-lbs. of torque. A six-speed automatic is the only transmission option here. Purchasers will have the option of front-wheel or all-wheel drive though. Fuel efficiency from this particular power plant is estimated by the EPA to be 17/27 mpg with the front-wheel drive and17/25 mpg with the all-wheel. The automatic stop-start system works very well on the LaCrosse; the usual shudder upon restart isn't near as noticeable, especially on the eAssist model. Coincidentally, that eAssist 2.4L engine isn't as underpowered as the numbers would lead. Still, it's not going to win any races and feels sluggish at higher speeds. The one thing the LaCrosse does well is offer precise steering and a cushioned ride. The 2013 Buick LaCrosse is an IIHS Top Safety Pick, earning a perfect mark of Good in all of their crash tests, including the roof strength test. The NHTSA agrees in the sturdiness of Buick's luxury sedan. They gave it a perfect five out of five stars in all regular crash tests and four out of five in the rollover test. Standard safety equipment on the 2013 LaCrosse includes antilock disc brakes, stability and traction control, side curtain airbags, and OnStar emergency alert system. Rear-seat side-impact airbags and a blind-spot alert system are optional. There are currently no major safety recalls on the 2013 Buick LaCrosse. J.D. Power and Associates gave it 3.5 out of 5 in its Vehicle Dependability Study; that's a shade above average and a bit of an improvement for Buick in recent years. It comes covered by 4-year/50,000-mile bumper-to-bumper warranty and a 6-year/70,000-mile powertrain warranty. 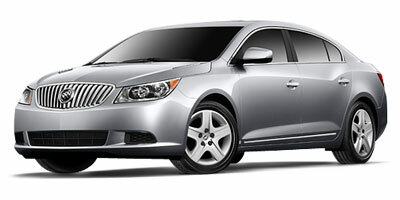 MSRP on the 2013 Buick LaCrosse ranges from $31,660 to $39,240 depending on trim level. Interested to see how the 2013 Buick LaCrosse ranks against similar cars in terms of key attributes? Here are the 2013 Buick LaCrosse rankings for MPG, horsepower, torque, leg room, head room, shoulder room, hip room and so forth.